Shangri-La’s Boracay Resort & Spa’s cliffside restaurant offers mouth-watering seafood and Asian specialities in a spectacular setting. Enjoy one of the best vantage points overlooking the secluded Banyugan Beach to view the famed Boracay sunset. 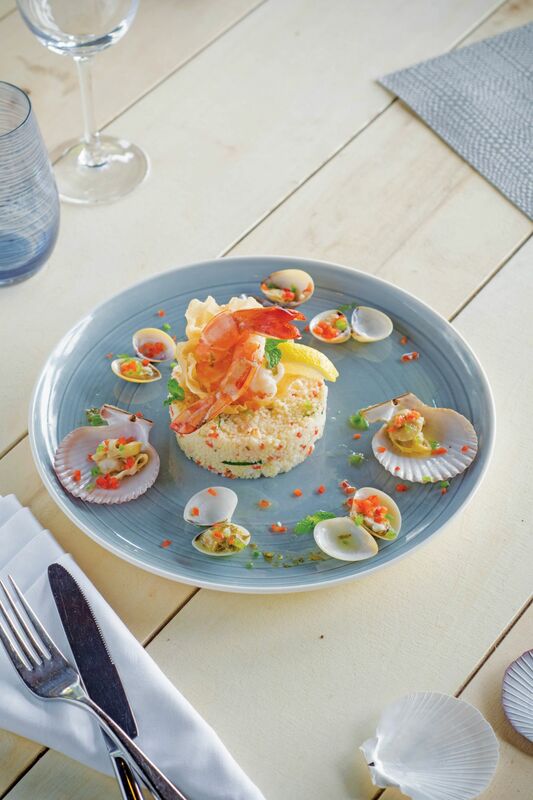 If you are a group, order Sirena’s three-tier seafood platter complete with Palawan lobster, tiger prawns, grouper fillet, red snapper, scallops, octopus, and clams—to share. The Philippine scallops served five ways is a wonderful starter, especially with the rich gorgonzola cheese. Do not dare leave without trying the curry laksa noodles (with either lobster or prawns—both are equally flavourful). Best when piping hot, savour its rich, spicy broth. Pair this with a glass of subtly fruity 2017 Villa Girardi Pinot Grigio Delle Venezie.